on April and May last month, our chance to meet with several owners off perfume factory and agarwood oil seller. The price that we offer they like, they really need pure agarwood oil, agarwood oil production is limited and demand of market is huge in Saudi Arabia. It’s amazing, in saudi arabia too many stores of Agarwood oil, at a mall, you can see dozens of agarwood oil stores, one company can have 3 even 4 stores in one mall. For us in Indonesia it is a wonderful thing. What we found is Arabian peoples they only know Cambodia oil, the oil on their minds is the best and they loved it. It is true that Cambodia oil has its own characteristic odor, a strange smell, which is difficult to be liked except by lovers of Agarwood oil itself. When the shopkeeper offers kalimantan Agarwood oil we sell to them, buyers are asking, is this Agarwood oil from Cambodia? Imagine how they liked the oil. 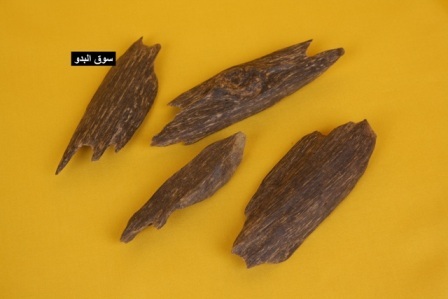 Agarwood oil merchant in saudi each has special ingredients for Agarwood oil that is difficult to imitate, some say that the herbs come from Thailand, and some say that India man is the expert. Smell of Agarwood oil could last on the hand long – long time, the smell continues strong, although rub on the skin, rub on clothes or in tisue can lasting for days. If for Agarwood chips, they are interested in the smell of Agarwood Merauke and next is Kalimantan. Nice can be in a pleasant atmosphere in the kingdom of Saudi Arabia.